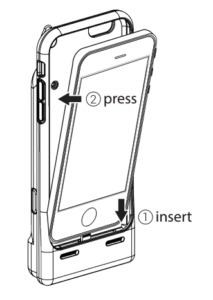 To install your iPhone into the iSAPPOS scanner jacket, follow these steps. 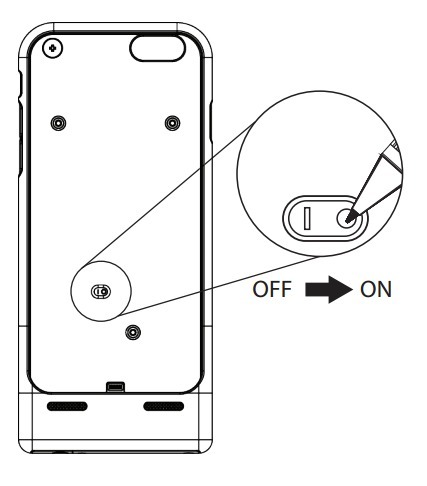 Use a pen or paperclip and power on the scanner jacket by pushing the power switch inside the jacket to the right. 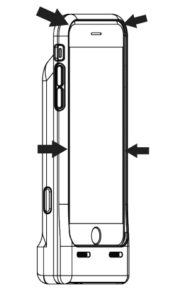 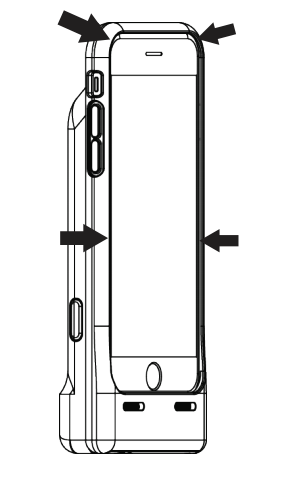 Insert the iPhone into the jacket as shown below, being careful to align the lightning port with the connector at the bottom of the jacket. Secure the sides and the corners of the iPhone into the jacket.